Step 1 – Select a fertile, well-drained planting location for your Japanese black pine. Choose a location that provides at least eight hours of full, direct sunlight. Ensure that the location is away from power lines and other overhead obstructions. Step 2 – Dig up the planting location to loosen any compacted soil. Remove weeds and other vegetation from the area to prevent competition with the pine. Make sure to remove the roots of weeds to prevent regrowth. Step 3 – Dig a hole for your Japanese black pine. Create a hole with a width that is about twice the spread of the root system. Dig the depth of the hole so that the uppermost roots of the system (root flare zone) rests above soil level, as explained by Tree USA. Position the black pine in the center of the hole and gently spread out the roots. Fill the hole with soil to ensure that all of the tree’s roots are covered, except the root ball itself. Step 4 – Apply a thin, 1-inch layer of mulch over the root ball. Keep the mulch about a foot away from the trunk to prevent root burn and rot. Line the diameter of the tree with a 3- to 4-inch layer of mulch to promote soil moisture. Step 5- Irrigate your Japanese black pine tree regularly to promote good establishment. Allow your tree up to a year to establish itself. Irrigate only the root ball of your pine until it is moist but not saturated, as explained by Tree USA. Adjust your irrigation schedule for periods of drought and rainfall. 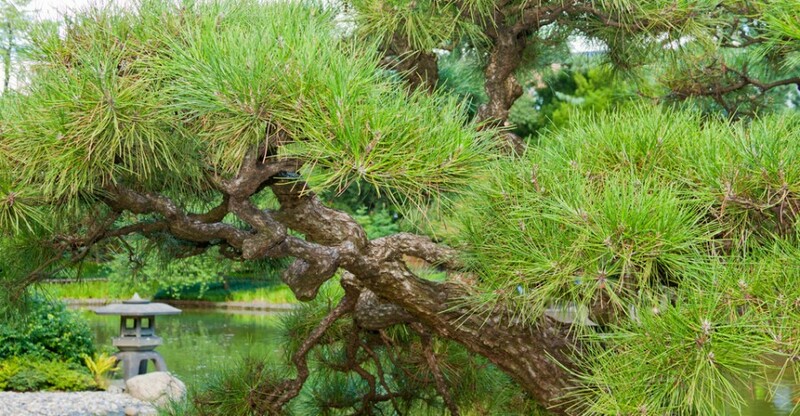 Step 6 – Prune your Japanese black pine after it has established. 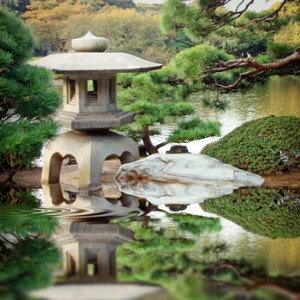 Prune your black pine in the fall, as recommended by Japanese Gardening. Use sharp, sterile pruning shears to remove dead or damaged branches. Thin out old, interior branches and stems to increase light penetration and air circulation throughout the tree. Develop the desired shape and presence of your Japanese black pine over the course of many seasons to prevent growth stunt and dieback. Step 7 – Fertilize your Japanese black pine tree in mid- to late spring, as recommended by the Online Gardener. Use a well-balanced, slow-release fertilizer such as a 10-10-10 or 20-20-20 combination. Follow the instructions carefully to prevent root burn. Irrigate the fertilizer thoroughly into the soil.